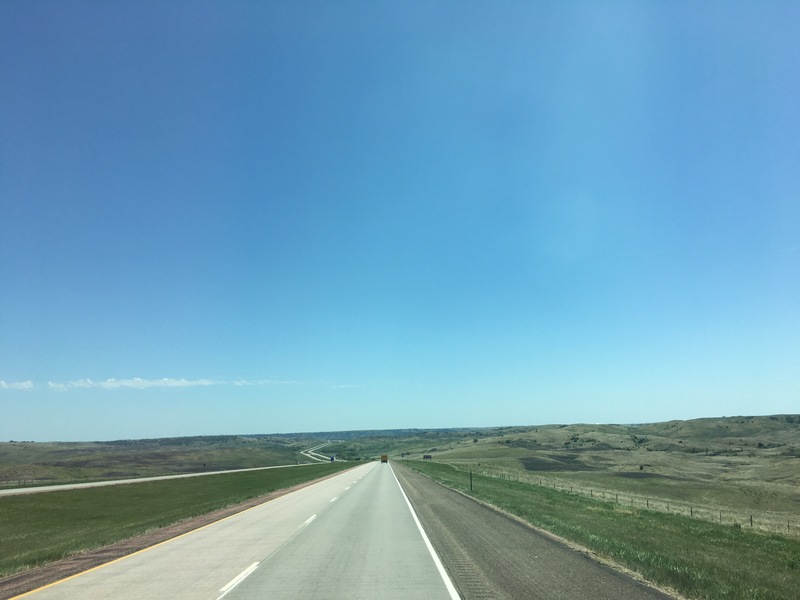 South Dakota Dreaming – Neales…on wheels! 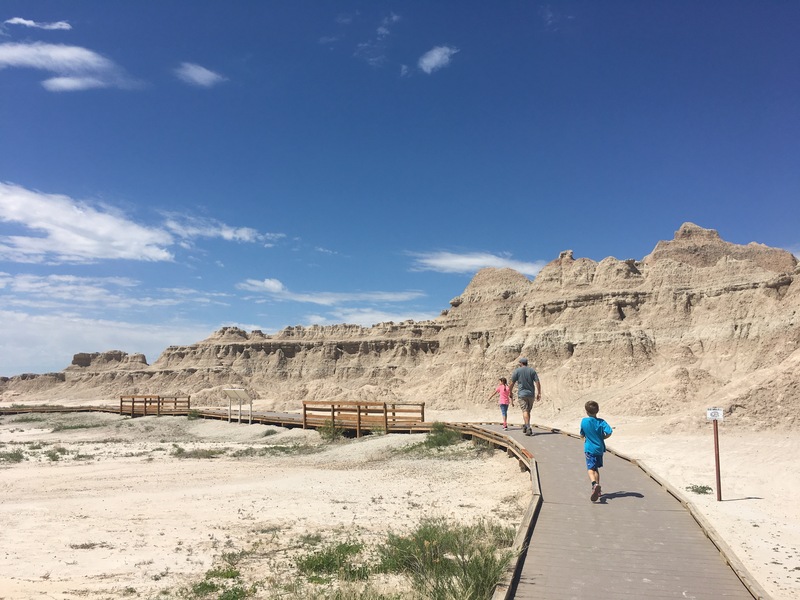 Compared to Nebraska, I felt more familiar with what we expected to see in South Dakota: the Black Hills, Badlands National Park, Mount Rushmore, Crazy Horse Memorial, and the tourist attraction landmark of Wall Drug. 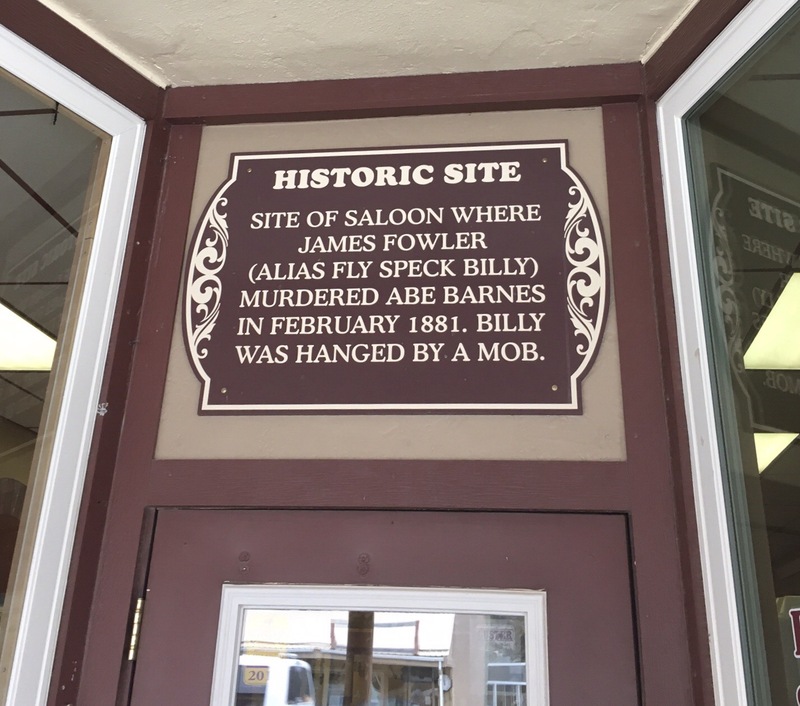 Our expectations were exceeded: the beauty of the Black Hills, small towns with rich history, so much more to see that we didn’t get to – and great cell coverage everywhere we went. 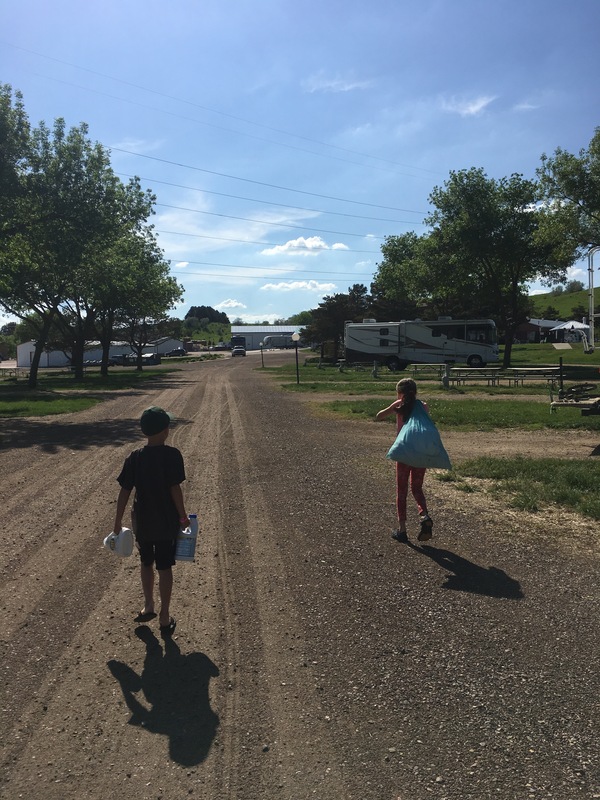 Our first stop was an RV park just off Mount Rushmore Boulevard in Custer. 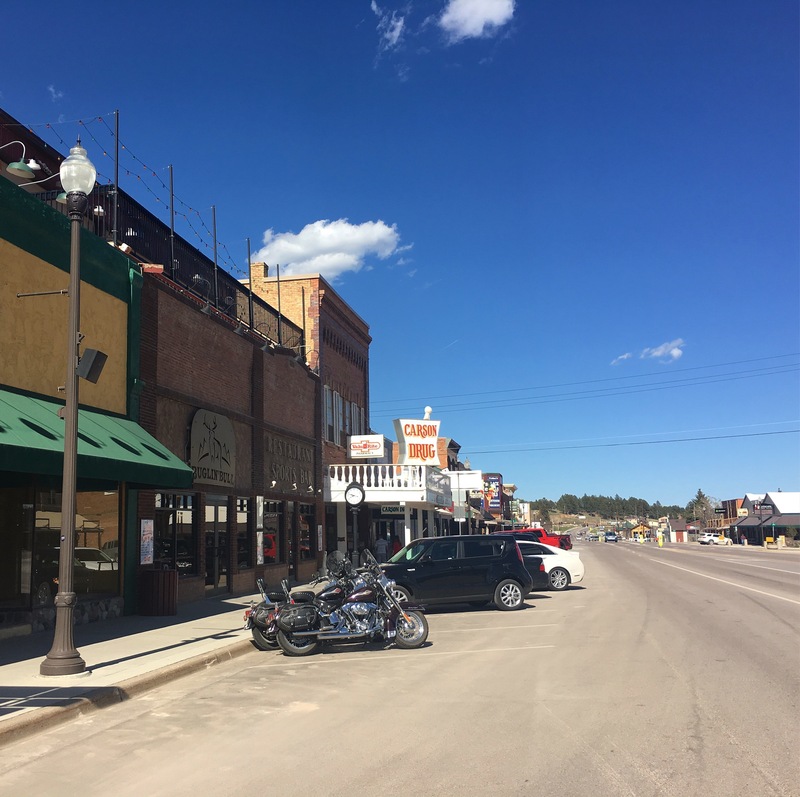 Custer was the first town founded by European Americans in the Black Hills of South Dakota and Wyoming, in 1875. 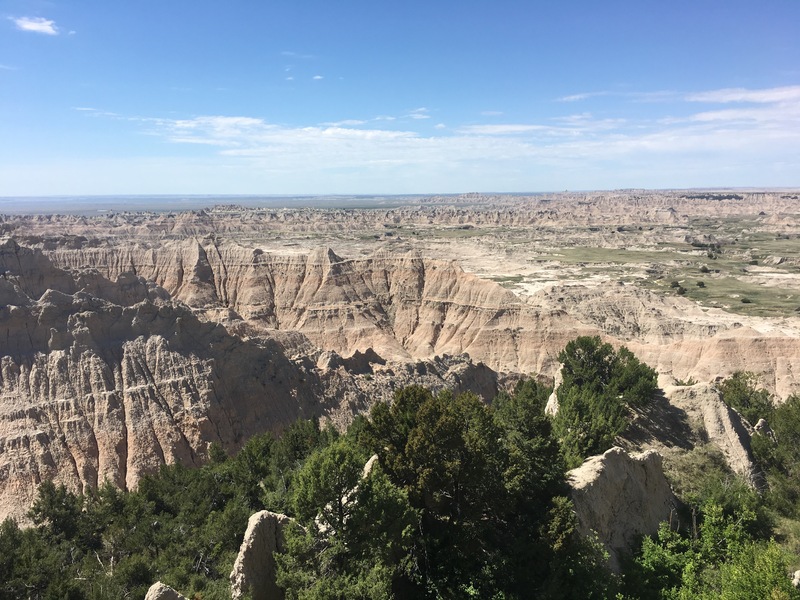 I thought “Black Hills” was based on the color of the rock found there, but the name was given by the Sioux because the hills are so densely forested they look black from a distance. 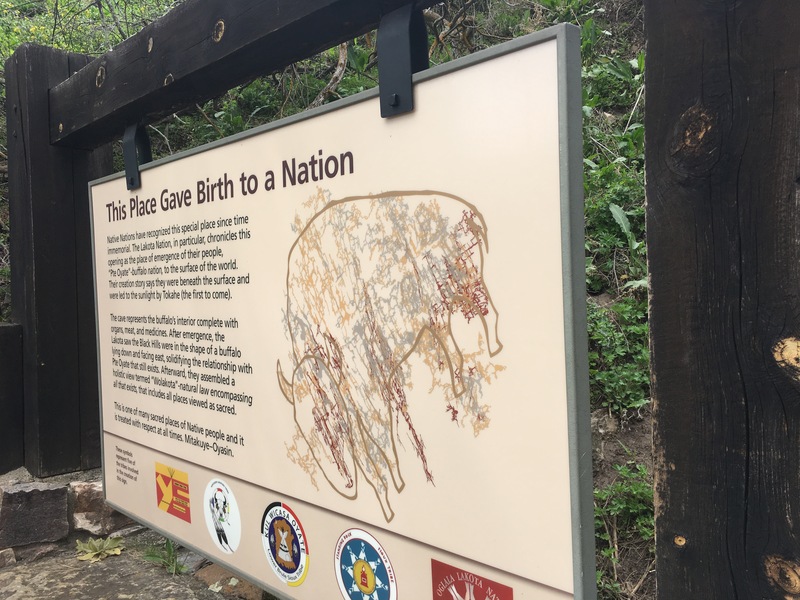 Various Native American tribes lived in the area over thousands of years; by the 18th Century it was the territory of the Oglala Sioux and considered sacred. The Fort Laramie Treaty of 1868 which established the Great Sioux Reservation also exempted the Black Hills from white settlement forever. “Forever” lasted until after gold was discovered during the 1874 Expedition led by Lt. Colonel George Custer. Seen from the Custer Skywalk Trail. 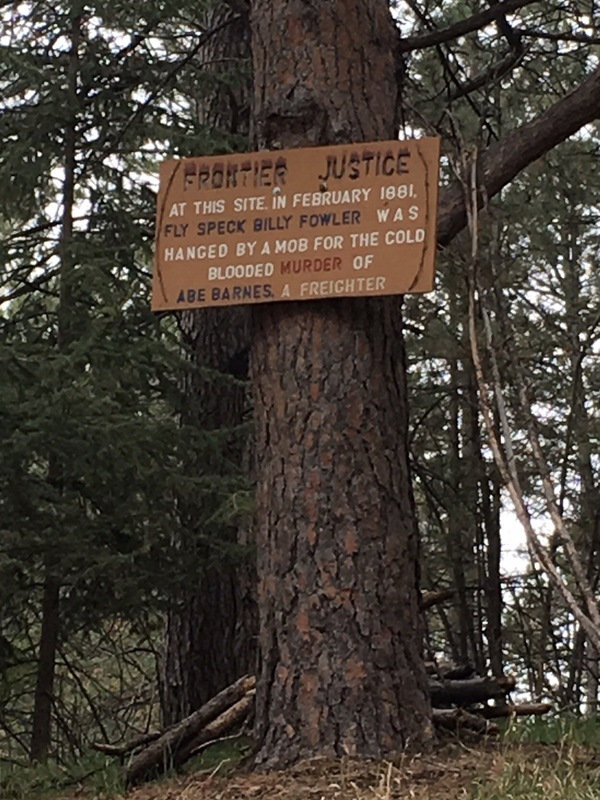 Frontier Justice indeed. 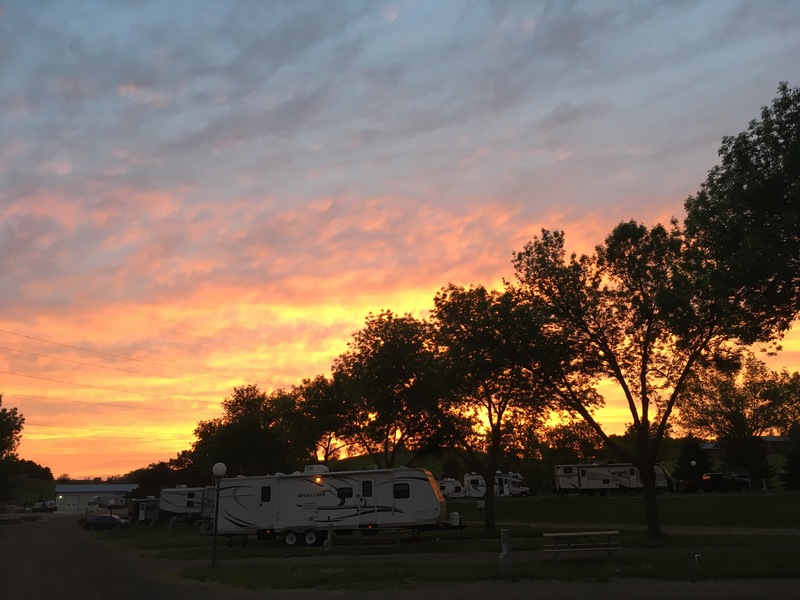 Our RV park was basic, but we enjoyed being close to downtown. 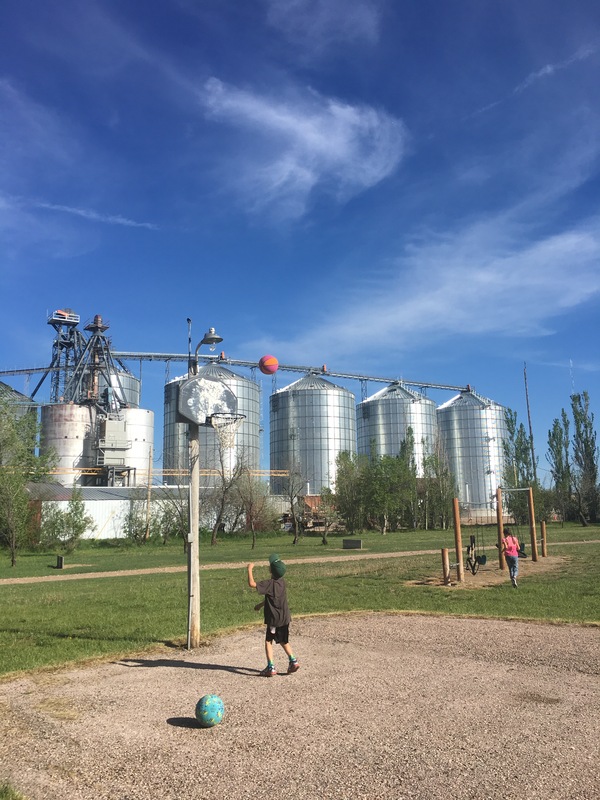 We could walk to restaurants on the historic Main Street, to two different playgrounds along pretty French Creek, hiking trails, a bike path, and within a short drive had a grocery store and a place to let the dogs off leash. 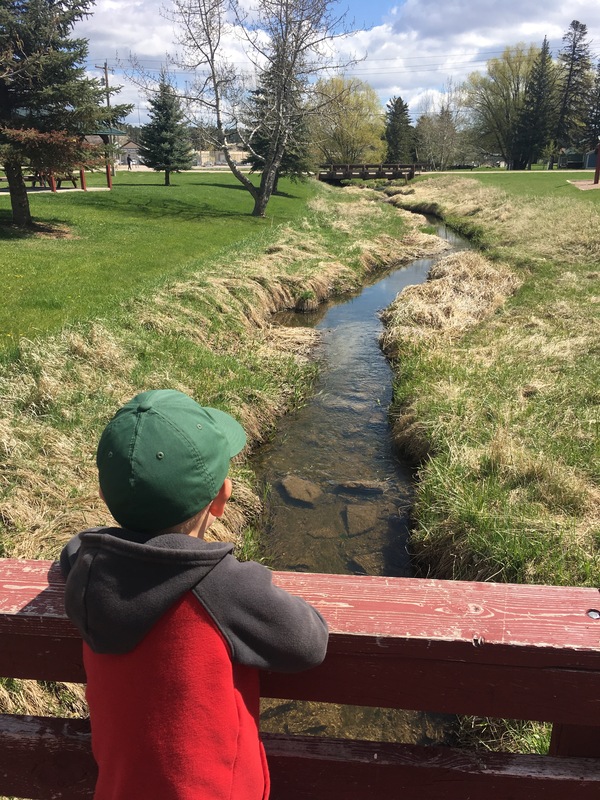 The kids were happily occupied between the playgrounds and the small but flowing creek. Racing sticks dropped into a stream is an absorbing and surprisingly suspenseful activity. 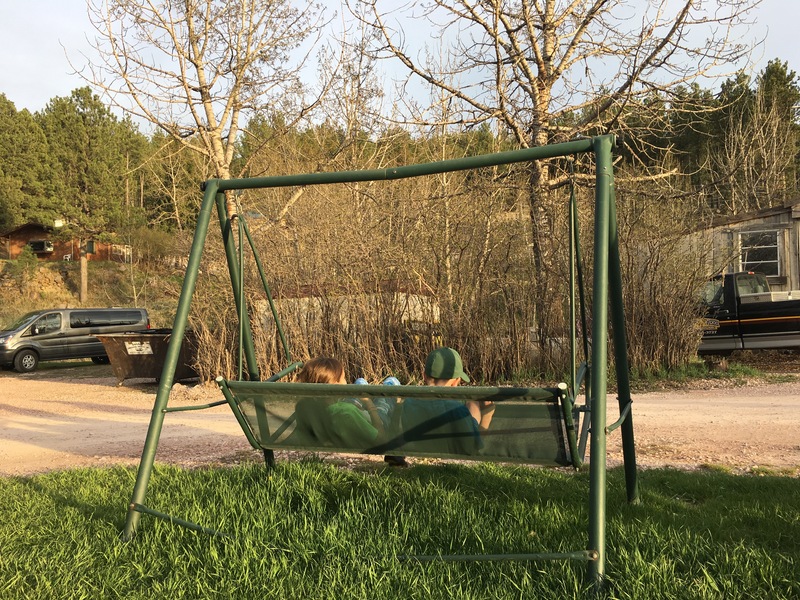 The kids loved this swing at our RV park. Racing sticks in French Creek. 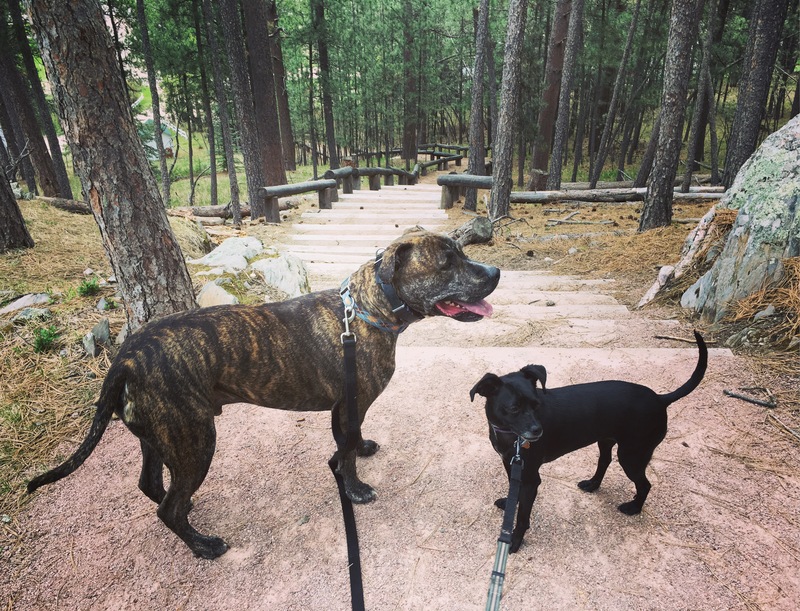 We explored Big Rock Park, walking Custer Skywalk Trail from downtown into the park, through pine forest, meadows, and moss-covered boulders. 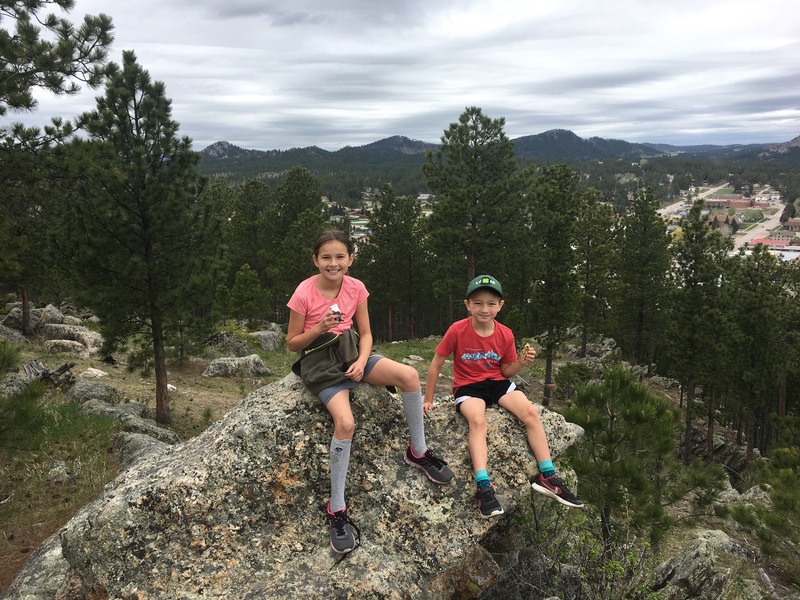 After a steep ascent, we were rewarded with a shaded bench and expansive views out over Custer and the surrounding Black Hills. I went further up into the park to the Big Rock Observation Deck with Sky one time. We met a friendly dog at the bottom of the deck staircase, who led us up to his owner relaxing in a hammock strung up on the platform. Not a bad way to spend a Tuesday afternoon. 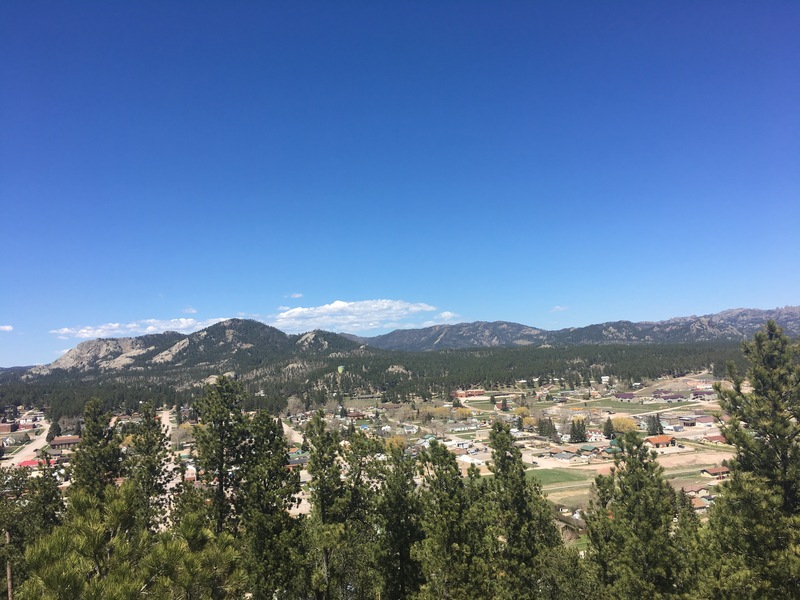 View of Custer and the Black Hills from Sunrise Point. Snack break after the climb. It was pretty impressive to be within easy driving distance to a National Park, National Monument, and National Memorial. Most everyone has heard of or would certainly recognize Mount Rushmore (the Memorial), but the other two National Park attractions are worthwhile and unique places to visit, and both are caves. I was surprised to learn that Wind Cave is the seventh National Park, established by President Theodore Roosevelt in 1903. Wind Cave is sacred to the Lakota as part of their Creation Story, although there is no evidence that they ever entered the cave. It was named “breathing earth” for the strong wind blowing from the small and only natural entrance. This also led to its discovery by European American settlers in 1881. Wind Cave is the densest cave system in the world, with 145 miles recorded so far under only one square mile of surface area. The only way to see the cave is by guided tour, so we signed up and drove back to the town of Pringle for lunch while we waited for our tour. Pringle consists of a couple dirt roads, a sculpture made from hundreds of bicycles (I can’t believe I don’t have a picture), and seriously the best French fries at the Hitchrail Bar and Restaurant. The buffalo burger was great too, but we have eaten a lot of fries on the road, and these really stood out. The Ranger demonstrating how strong the wind blows out of the natural opening at Wind Cave. A bison shape superimposed on the Wind Cave map (yes that is map). Back at Wind Cave, we explored underground with a Ranger and group of 40 people for over an hour, getting to see the rare boxwork and other unusual formations and minerals. The passage was tight in a few spots; Chris definitely needed to watch his head. 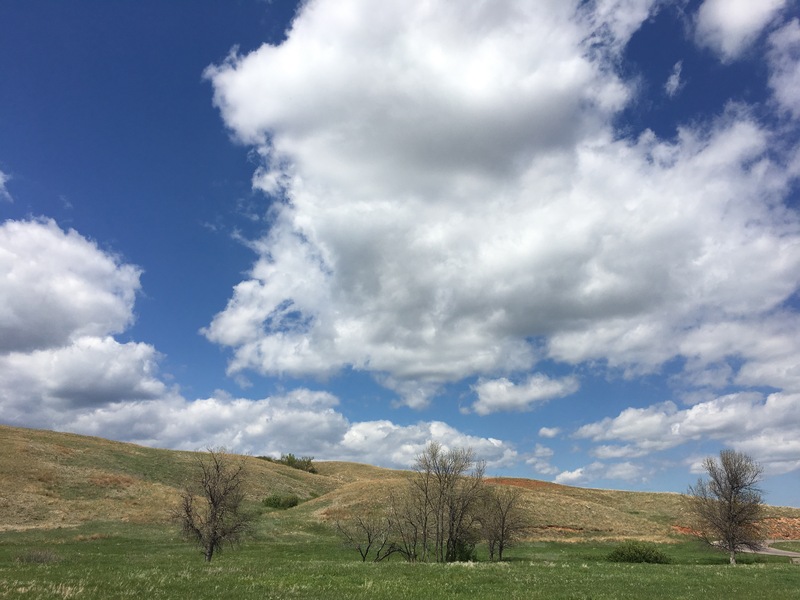 The National Park extends above ground to include protected prairie and native wildlife. It was a thrill to see bison and prairie dogs up close on the open land. 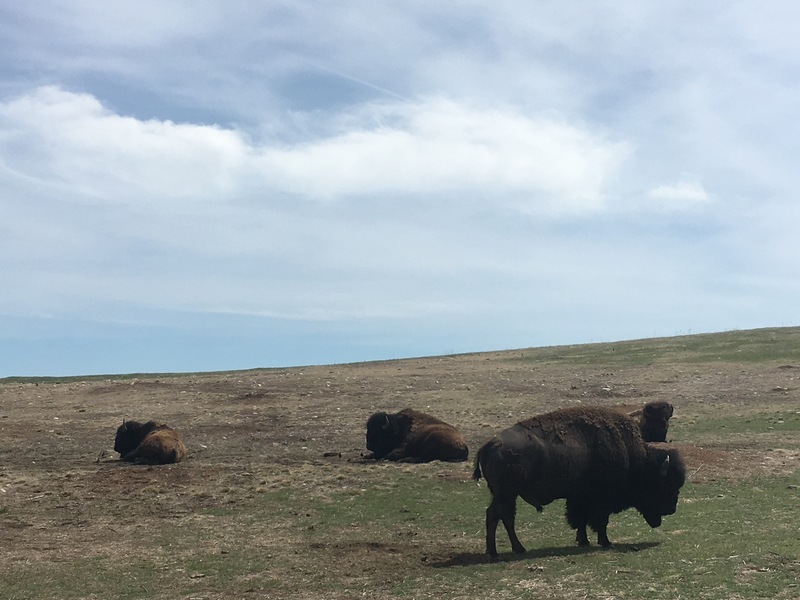 Fun fact: the 350-strong bison herd at Wind Cave originated from 14 donated by the Bronx Zoo in 1913. 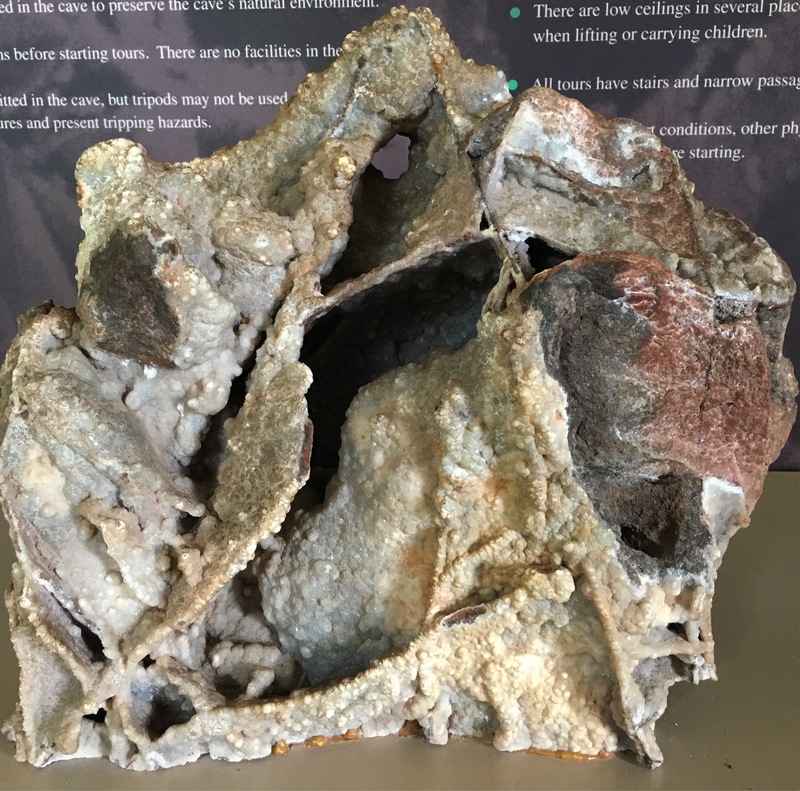 Close up of the unique and delicate boxworks we saw throughout Wind Cave. 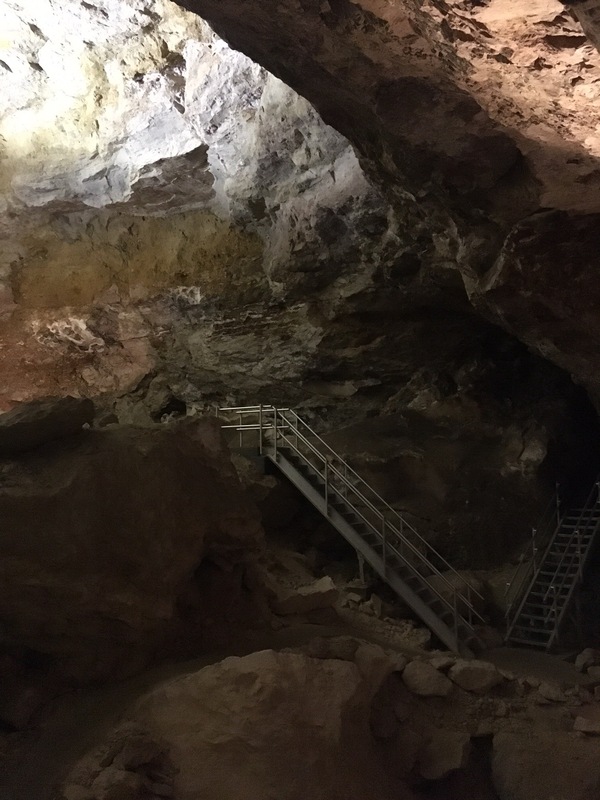 We opted out of the longer tours at Jewel Cave National Monument, but took the Discovery Tour to see one large cave room. 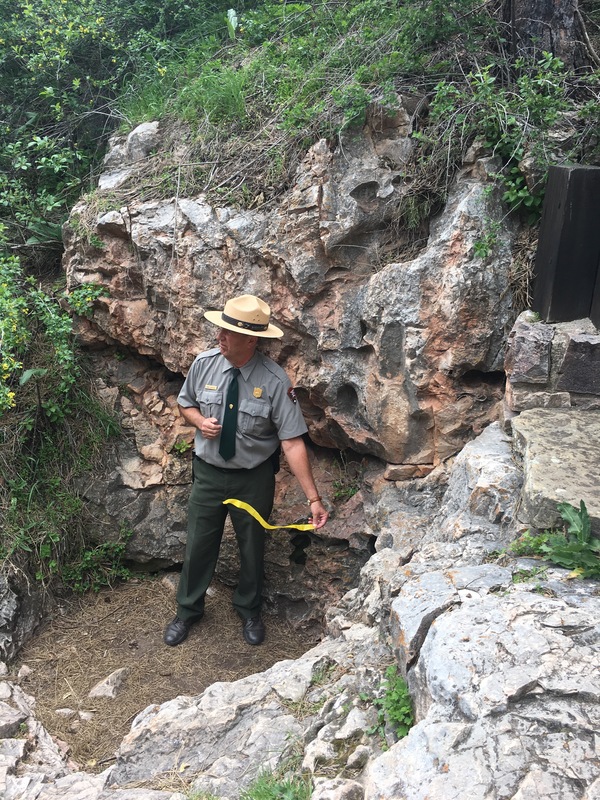 We were with only two other people and the Ranger, so we could freely move around the platform to look at different parts of the cave up close while the ranger gave her talk and pointed out specific formations with a flashlight. Jewel Cave is currently the third longest cave in the world, with over 180 miles mapped. It’s pretty amazing to think about how both Wind and Jewel Caves are still being explored. Based on airflow studies there is much more to be discovered, and it’s even possible that both could caves could meet together somewhere underground. A poor photo of the large room at Jewel Cave. The formations and minerals were beautiful to see up close. 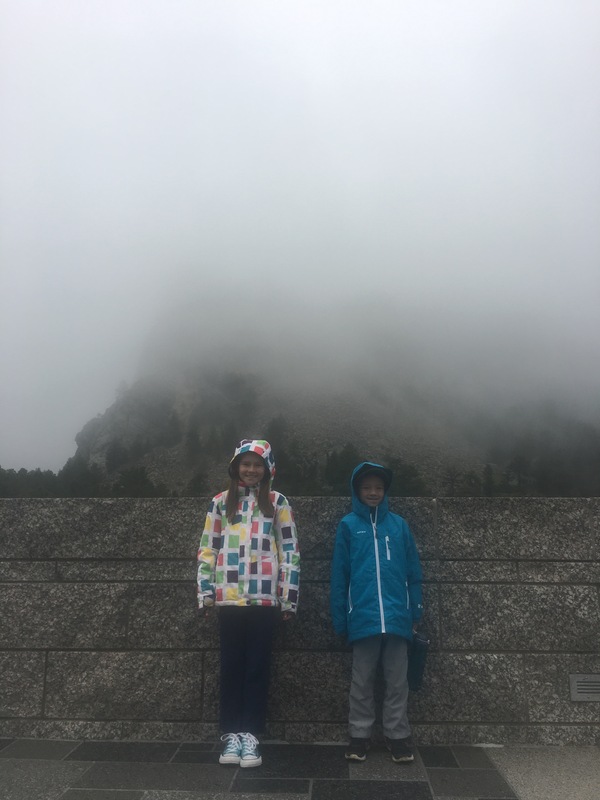 The day we drove to Mount Rushmore the weather was clear in Custer, but we hit fog just a few miles away and by the time we reached the Monument it was completely obscured. We were afraid we would have another experience like Mount St Helens, when we stayed in the area for four days and never actually saw the mountain. The Visitor Center was still fun to explore, with engaging exhibits about how the Monument came to be, the visionary sculptor Gutzon Borglum, and how a team of workers created these giant portraits out of granite (hint: a lot of dynamite). Meanwhile, outside the Visitor Center windows the faces of Washington, Jefferson, Roosevelt, and Lincoln were emerging and then being covered again by the fog – which sent people scrambling outside and back in again with their cameras, myself included – but eventually the sky cleared completely for a dramatic reveal by Mother Nature. 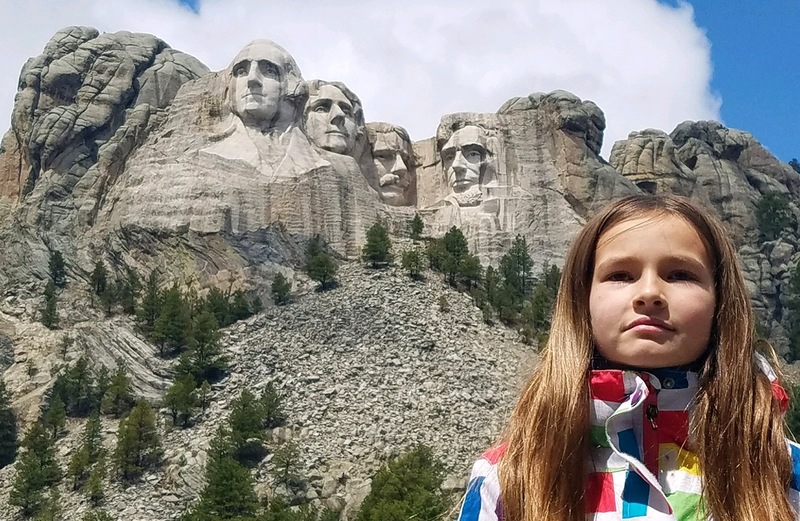 Mount Rushmore is right behind them. By the time we left the sky was clear. 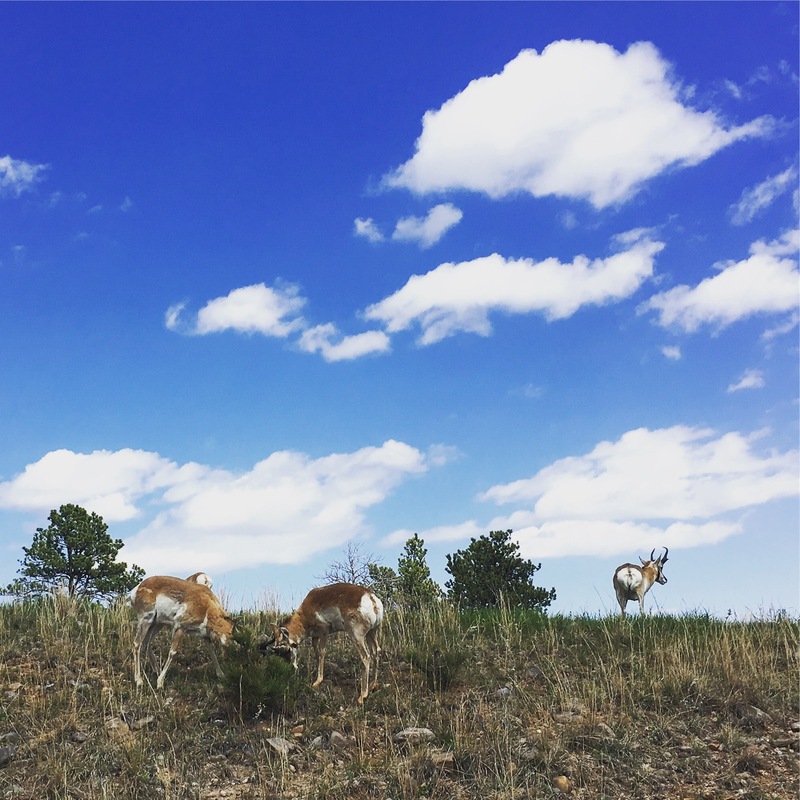 Pronghorn at Custer State Park. 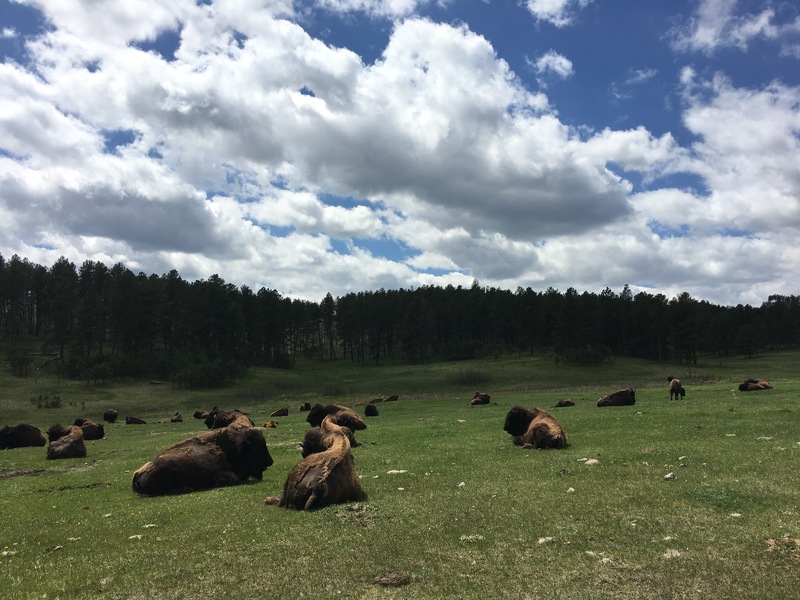 Some of the many bison we saw at Custer State Park. Custer State Park Visitor Center. 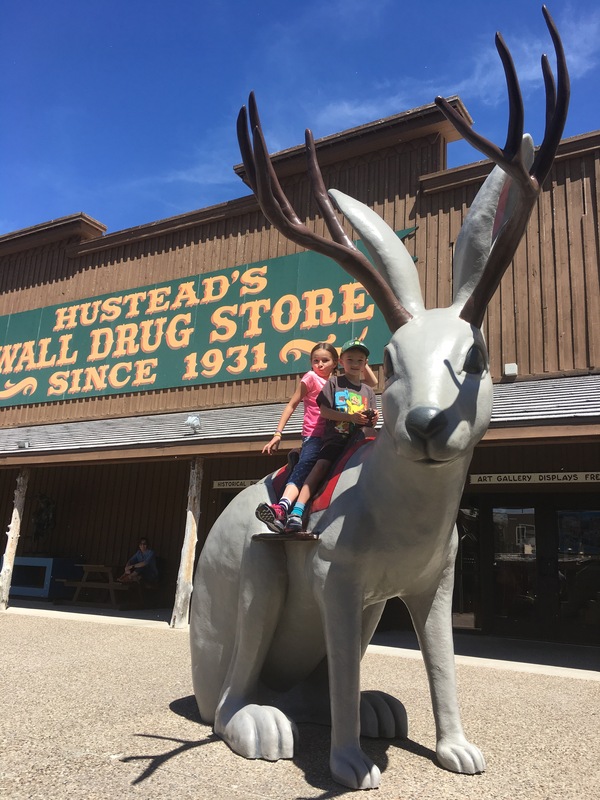 There was much that we still didn’t get to do in Custer State Park and the Black Hills: Sylvan Lake, the Cathedral Spires, Crazy Horse Memorial (although we could see it from the highway), Deadwood, tantalizing wineries and breweries along scenic Highway 385… but it was time to move on to a different kind of wonder: Wall Drug. 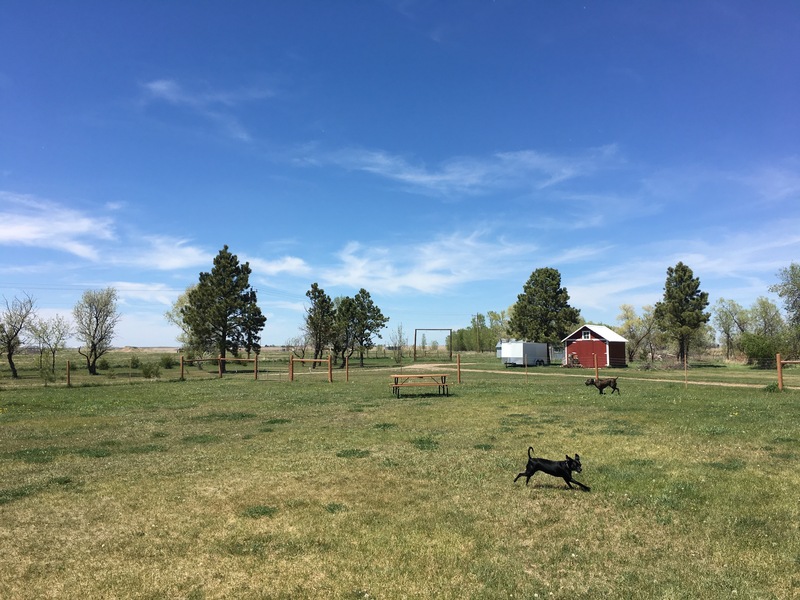 We spent a couple nights at a spacious campground in the town of Wall. 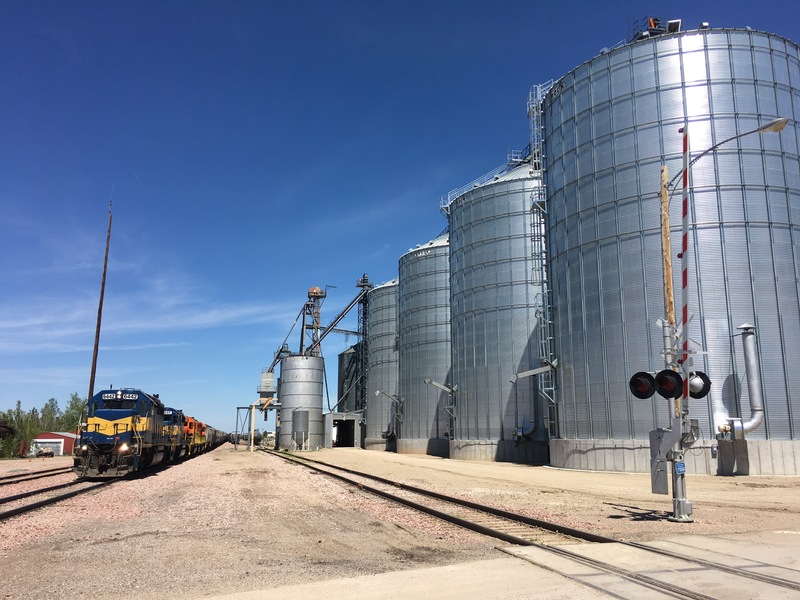 They had one of the biggest fenced in dog areas we’ve seen inside a campground, and a nice playground with the singular background of giant shining grain elevators next to the train tracks. Crossing the tracks in Wall. On the other side of the tracks was Wall Drug. In 1931 Ted Hustead and his wife Dorothy purchased a drugstore in a tiny town in the middle of nowhere. Dorothy had the idea to advertise free ice water to lure travelers off the nearby highway and drum up some business. Dorothy’s plan worked, and the original drugstore has grown into its own Main Street with multiple shops, restaurants, and attractions. 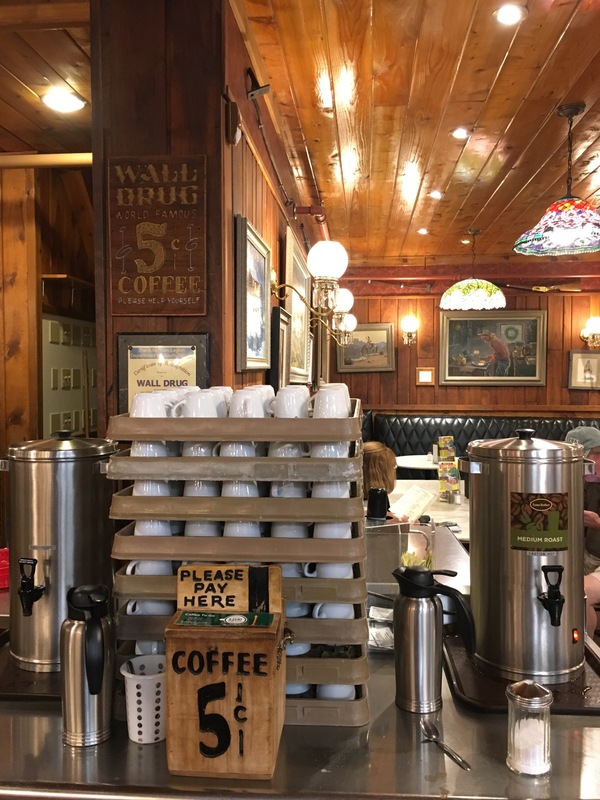 They still offer free ice water, and coffee for 5 cents a cup, although the prices for food in their cafe seem to make up for that loss leader. 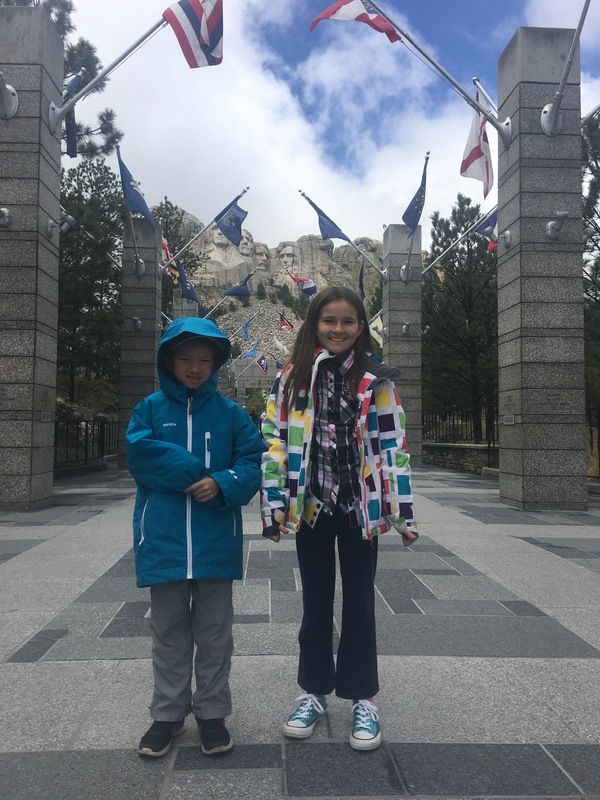 The place really does have to be seen to be believed, and the kids loved it. 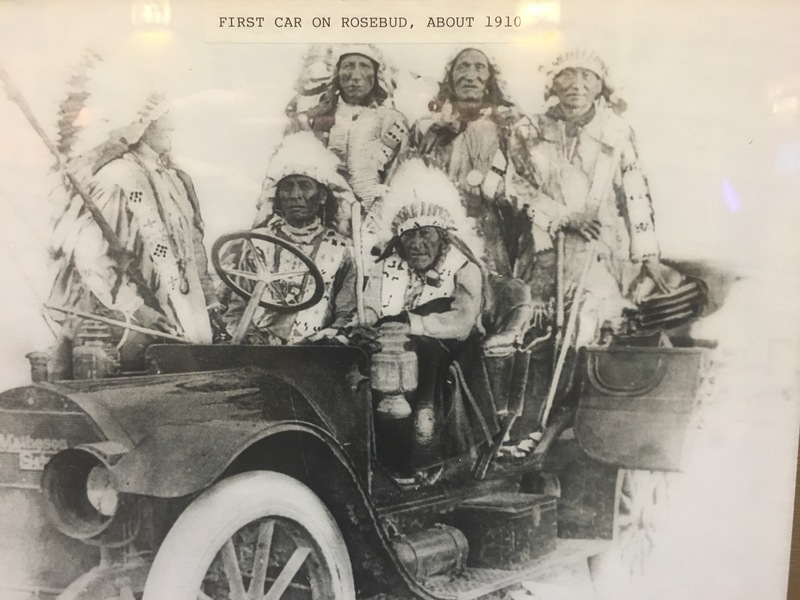 I was pleasantly surprised by the extensive collection of fascinating historical photos from the area, and a small bookstore with an excellent selection of books about and by Native Americans and European settlers. 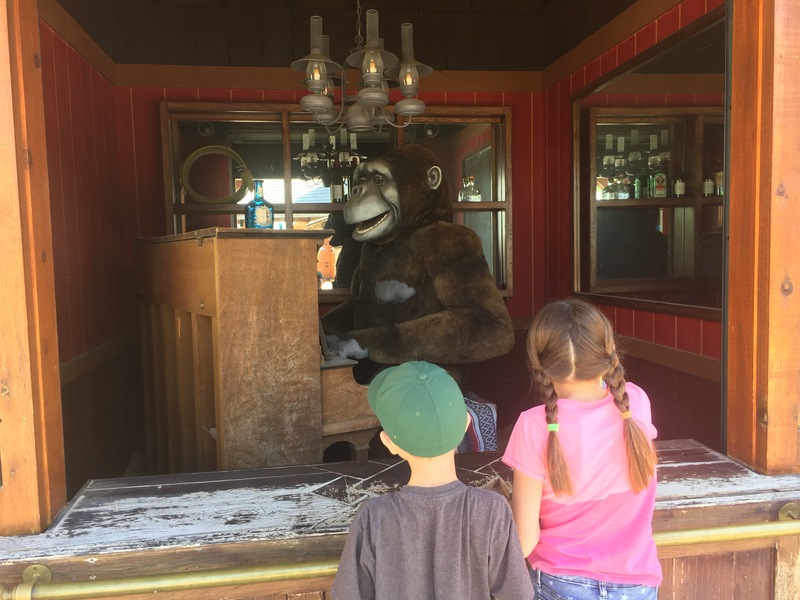 A piano-playing and singing gorilla! The coffee really is 5 cents. One of the many incredible historical photos at Wall. 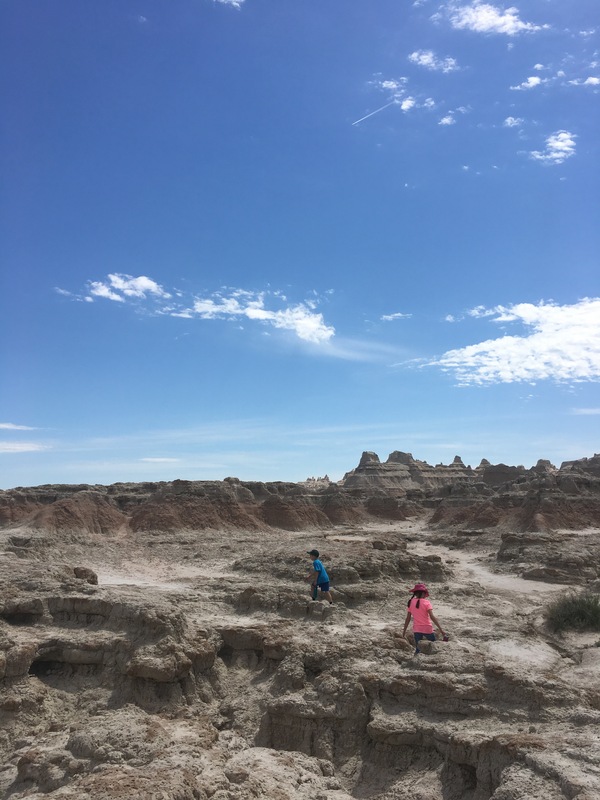 The other reason we stayed in Wall was to visit Badlands National Park nearby. I’d heard a lot of great things about this park, and it did not disappoint. 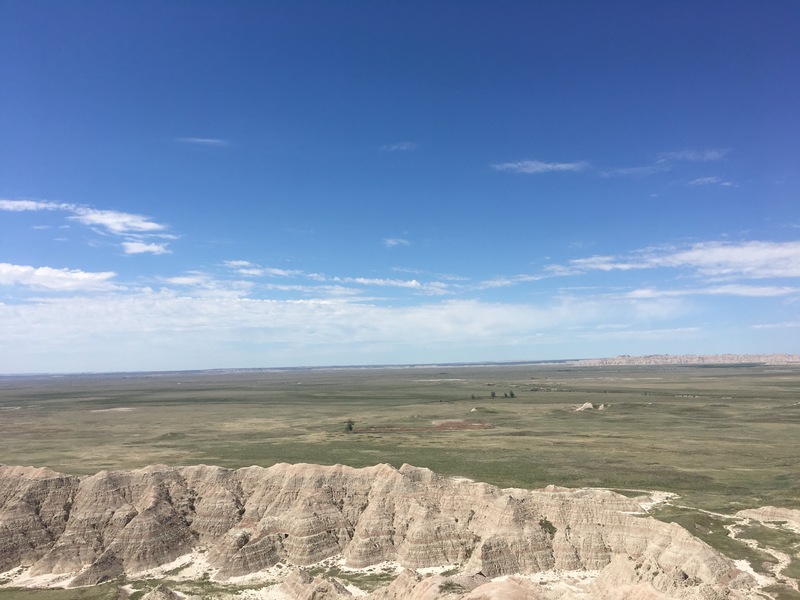 We drove the Badlands Loop Road from the Pinnacles Entrance, and at the first viewpoint the prairie opened up into an incredible expanse of otherworldly landscape below. It only got better after that. 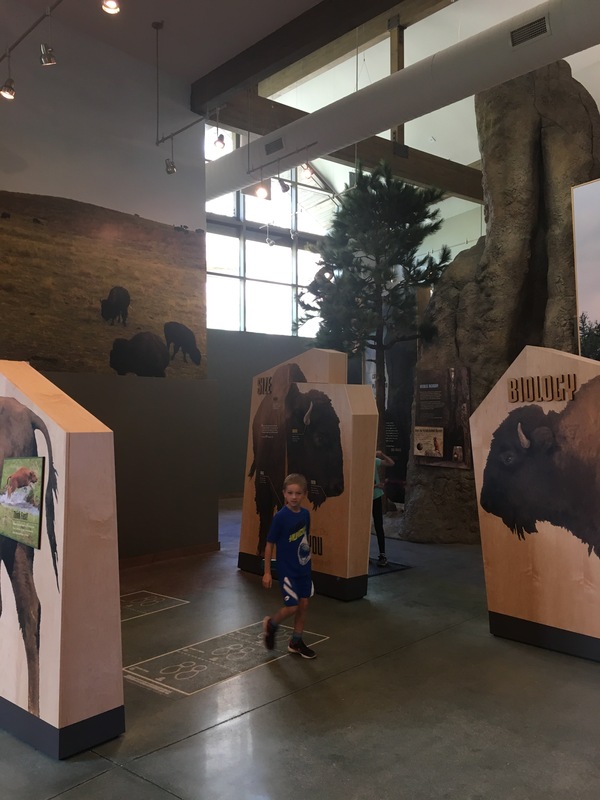 We stopped at the excellent Visitor Center for Junior Ranger Badges and lunch at the lodge, then drove a couple miles to take the short but memorable Door Trail. After a boardwalk, the trail continued out into the badlands with only poles marking the way. It was a fun and memorable experience to wander through this surreal landscape, with only a few other people around. The edge of the Badlands and prairie. Pinnacle Point in Badlands National Park. The dramatic winds and thunderstorms started in Wall, and they followed us east to Sioux Falls. This was the longest drive Chris has done so far, almost 300 miles, but it was pretty much straight and flat the whole way. 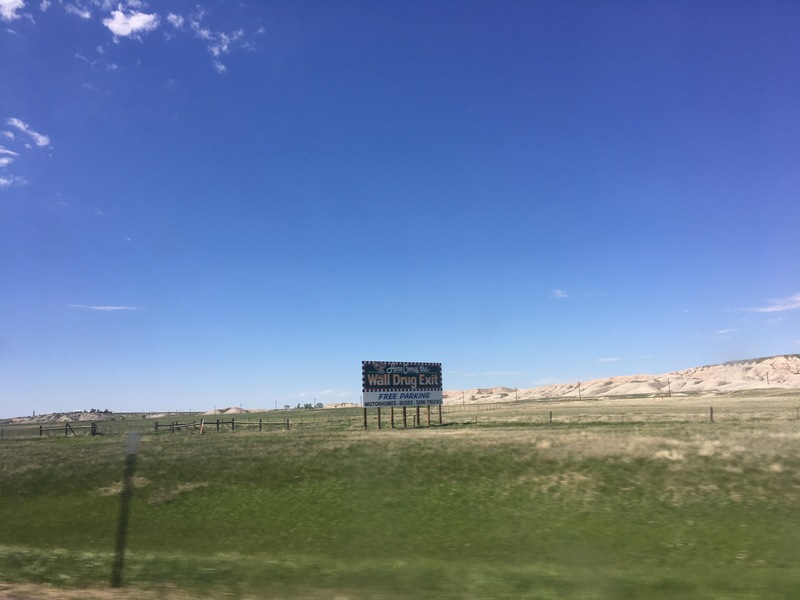 We didn’t see much else besides billboards on the opposite side of the highway beckoning visitors to Wall Drug, and then billboards on our side for Al’s Oasis on the Missouri River. Of course we stopped there for lunch. If nothing else, we knew there would be ample parking for the RV. As it happens, lunch was good and reasonably priced, and we finally found fidget spinners in stock (don’t judge). One of the many many Wall Drug billboards. 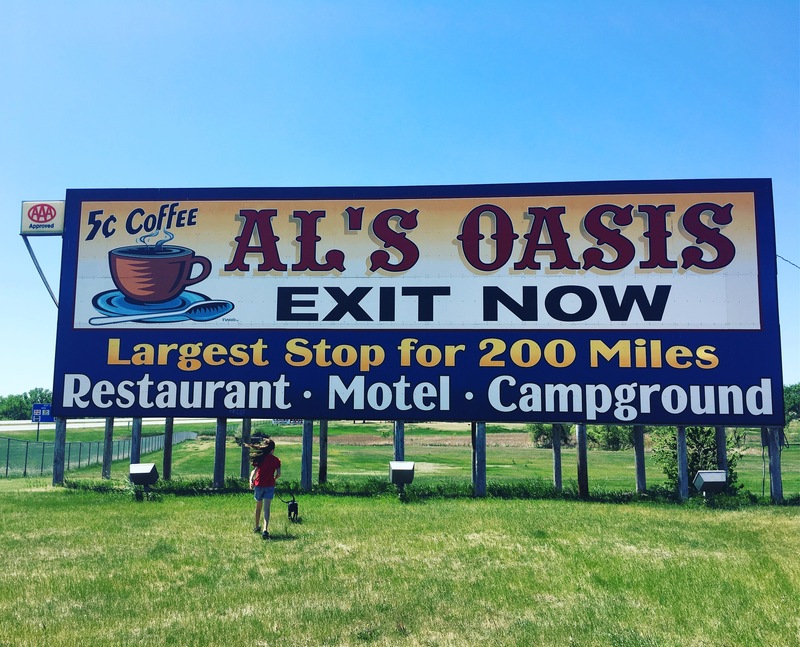 Al’s Oasis on the Missouri River has been around a decade longer than Wall Drug. 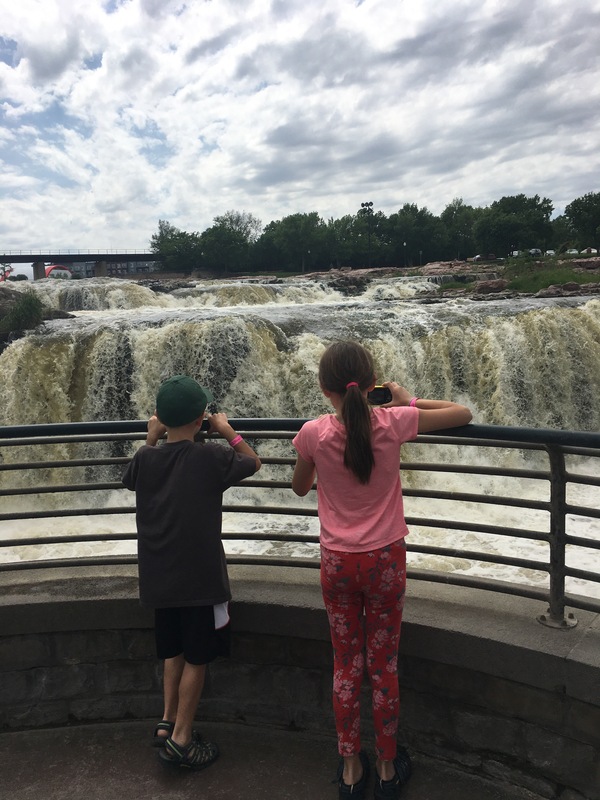 We didn’t get to explore too much in Sioux Falls between rain and the kids wanting to use the pool when it wasn’t raining. 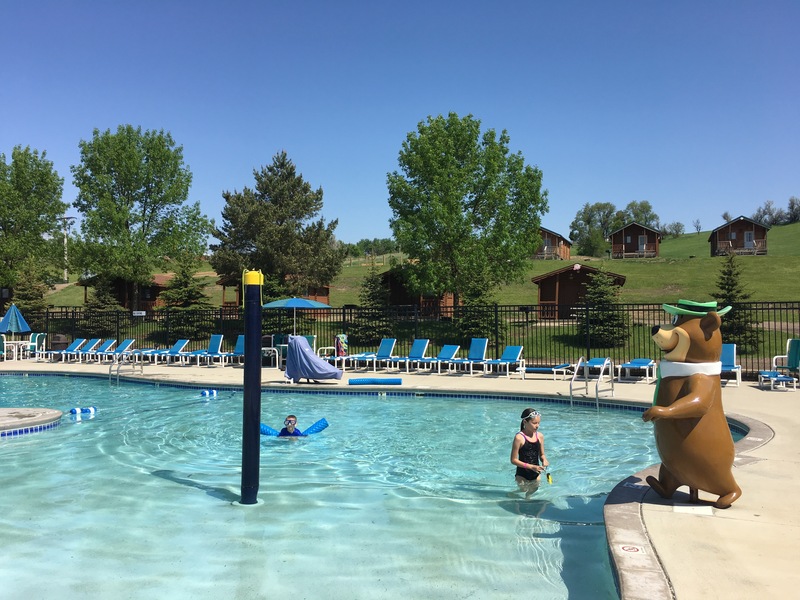 We haven’t been at a campground with an open pool in a while, so it was nice to get back into one. 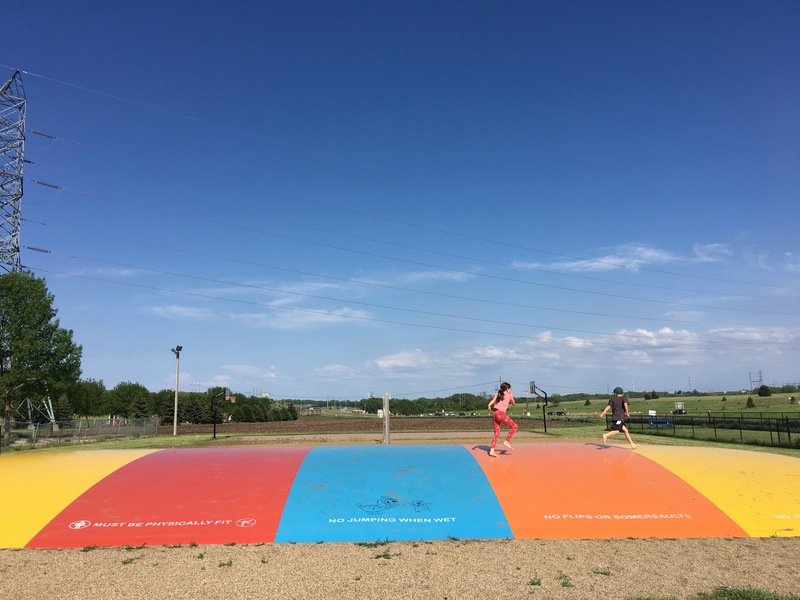 We’ve never been to a campground with a “jumbo jumper” – like a bouncy house laid flat and then inflated. The kids were in heaven. 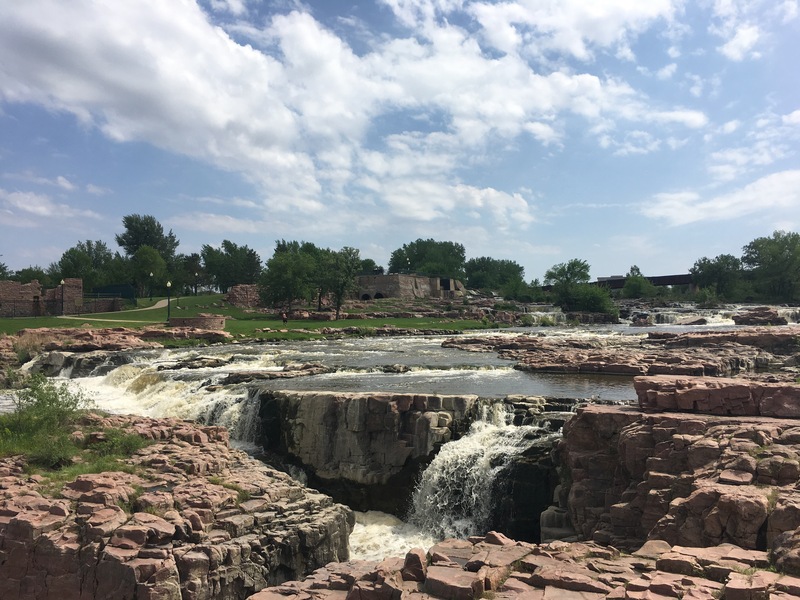 We did manage to drive into downtown to see the spectacular Sioux Falls and Falls Park. Great pool at Jellystone Park. The kids were so excited to get to the pool and giant jumper they volunteered to help me with laundry. 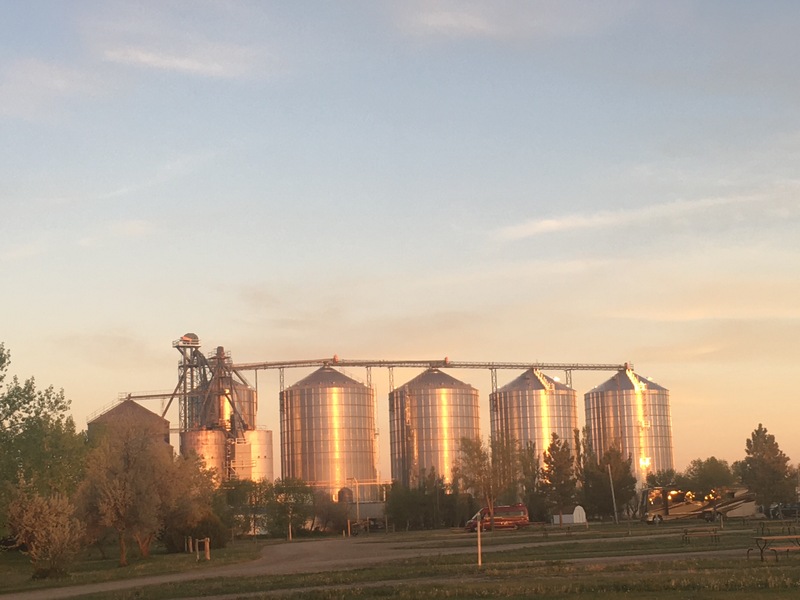 Aside from natural beauty, history, and great cell service, South Dakota re-introduced us to hot and humid weather, dog ticks, and pesky bugs in general. It’s also one of the first places where people remarked on our California license plates or zip code on a regular basis. We’re constantly commenting about how green everything is. Getting ready for the East Coast! However will you go back to “real life” after the adventures you are having? I love, love, love your posts and photos. What a blessing for your family to be able to do this. I love all the great details. It is always fun to read about another perspective on the places we have been…and I am so glad the fog cleared so you could see Mt. Rushmore! Thank you, Jenn! 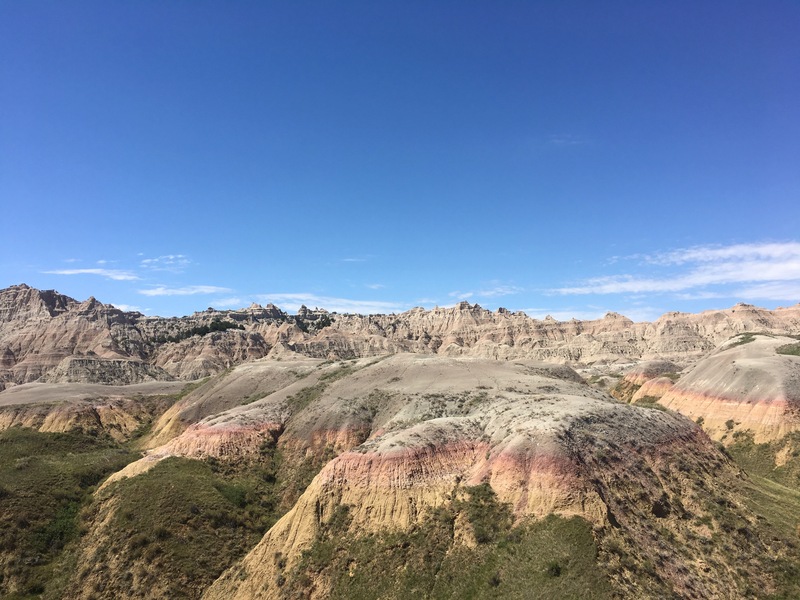 I shared your blog post with a friend who will be in SD next month… we need to go back again and do all the great hikes we missed!